Miss Lady Gaga gave a perfect performance at yesterday`s Grammies 2016. 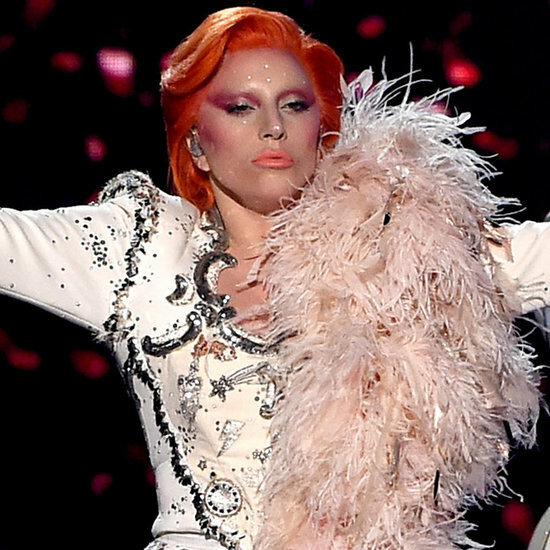 Gaga payed a tribute to legendary David Bowie. She had chosen to deliver a medley of some of Bowie`s hits while dressed a “La Bowie”. This must be the first time i am writing something about Lady Gaga for a long time. I must confess my interest in her has increased after watching her on “American Horror Story: Hotel”. She was really amazing there! ( slapping my face right now).